Our mission at SCS is to build durable relationships with our builder and contractor clients to create a cooperative and highly professional environment that leads to one successful project after another. SCS Project Managers and Customer Service reps coordinate all phases of projects from preliminary design to final delivery. As an active integral partner in each project, SCS strives to meet aggressive construction timelines and finish jobs on schedule. With production capacity near $1.5M/week and a large fleet of trucks and trailers SCS is able to ensure efficient and timely flow of materials to the jobsite. In the bigger picture SCS is both a supplier and partner, capable and dedicated to making our customers’ projects a success. "The construction industry has gotten a lot more complicated in recent years. Schedules are shorter, budgets are tighter, and buildings are much more technical. 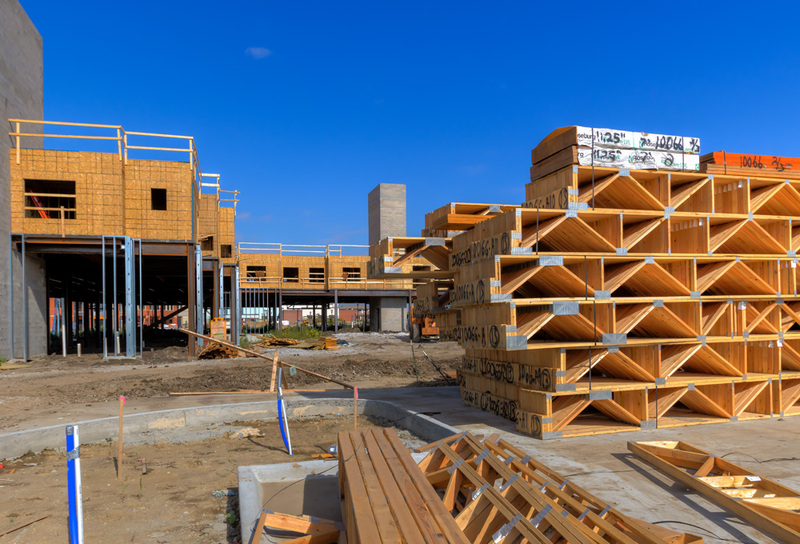 As a commercial framing contractor, we live and die by planning, communication, and on-time material deliveries. Structural Component Systems is a supplier we can count on for all three. We’ve worked with a lot of material and manufactured wood suppliers over the years. Most of them are just order-takers. When SCS is involved in a project, you can count on them being right there, working hand in hand with us and the general contractor. They understand the importance of pre-job planning, active communication, common-sense building design, and most importantly…coordinated delivery schedules. Structural Component Systems is a company that does what they say they will do. I can't put it any more plainly than this...everything they carry out is done with integrity, diligence, and a customer focus. We’re extremely proud to call SCS a trusted business partner." "The construction industry has gotten a lot more complicated in recent years. Schedules are shorter, budgets are tighter, and buildings are much more technical. As a commercial framing contractor, we live and die by planning, communication, and on-time material deliveries. Structural Component Systems is a supplier we can count on for all three. We’ve worked with a lot of material and manufactured wood suppliers over the years. Most of them are just order-takers. When SCS is involved in a project, you can count on them being right there, working hand in hand with us and the general contractor. They understand the importance of pre-job planning, active communication, common-sense building design, and most importantly…coordinated delivery schedules. Structural Component Systems is a company that does what they say they will do. I can't put it any more plainly than this...everything they carry out is done with integrity, diligence, and a customer focus. We’re extremely proud to call SCS a trusted business partner." "SCS has been a tremendous partner for Ryan Companies on two recent Grand Living Senior Housing projects totaling nearly 500,000 GSF. 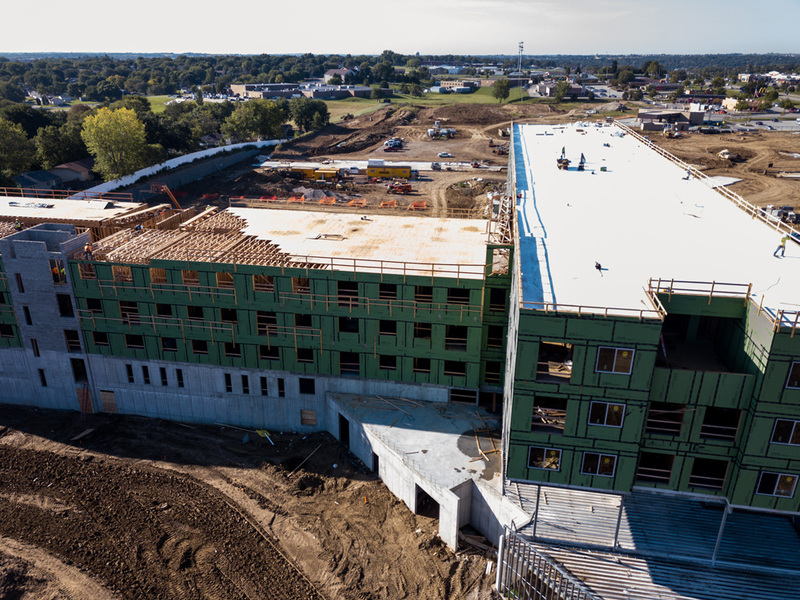 Their preplanning strategies, cost comparisons and cost savings solutions have been extremely impactful in driving value into the construction for these two projects. Their foresight into the lumber markets has also enabled us to purchase material at the correct time passing along cost savings directly to the owner. Their organization, time management, and willingness to solve any problem during construction has proven tremendously valuable. Great work SCS Team!" "As we were introduced to SCS, I had my reservations about quality. These have been quickly put to rest by their quality team. I have been impressed since the beginning by their professionalism. I always get straight answers, timely updates, quality work for every job that I have entrusted them with. The design team has been very accommodating to our ever growing, changing needs. Their schedulers give me regular calls to verify and update schedules and the projects have always shown up on time. The best compliment I can think of came from our ownership. They said that they 'never even think about the framing packages for our buildings, they just always show up and are right.' Now, no world is perfect, but every time there has been a hiccup, SCS has responded immediately and resolved quickly. We have never had a delay with their help. I am always impressed with the upbeat attitude, politeness, and kindness." We are national Event Venue that is expanding across the country. As we grew, we realized that we needed help in keeping our Quality, Proficiency, and Cost’s in line. These are struggles for any growing company. As we were introduced to SCS, I had my reservations about quality. These have been quickly put to rest by their quality team. I have been impressed since the beginning by their professionalism. I always get straight answers, timely updates, quality work for every job that I have entrusted them with. The design team has been very accommodating to our ever growing, changing needs. Their schedulers give me regular calls to verify and update schedules and the projects have always shown up on time. The best compliment I can think of, came from our ownership. 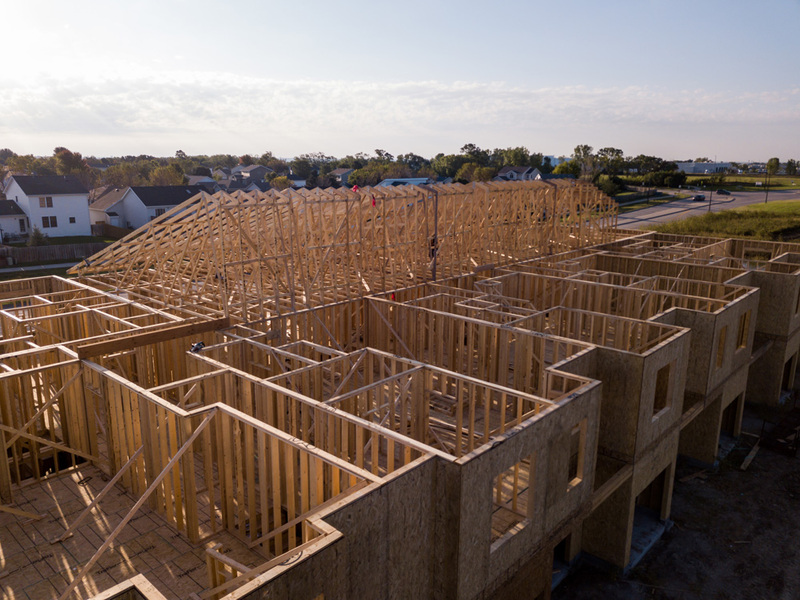 They said that they “ never even think about the framing packages for our buildings, they just always show up and are right.” Now, no world is perfect, but every time there has been a hiccup, SCS has responded immediately and resolved quickly. We have never had a delay with their help. I am always impressed with the upbeat attitude, politeness and kindness. We currently have 43 locations across the country, and are planning to expand to 300. For us to be able to accomplish this task, we will be needing great help. We believe that SCS is geared to help us achieve our goals. "Structural Components Systems has been a partner on numerous projects with Cheever Construction for over 20 years. There are 3 major aspects that make them our preferred partner on wood framed components. It starts with their staff. Whether we are asking for a feasibility budget, a technical question, or down to communication on deliveries, SCS is excellent in responsiveness to our needs and project challenges. Another major benefit in working with SCS is their quality. The products that SCS produce are accurate in their construction and the quality in the final product is noticeable. The final aspect of what sets SCS apart is their competitiveness. SCS has historically been very competitive in their pricing on everything they produce and supply. Ultimately this means that project budgets can be met and we are able to build more projects for our owners." Structural Components Systems has been a partner on numerous projects with Cheever Construction for over 20 years. There are 3 major aspects that make them our preferred partner on wood framed components. It starts with their staff. Whether we are asking for a feasibility budget, a technical question, or down to communication on deliveries, SCS is excellent in responsiveness to our needs and project challenges. Another major benefit in working with SCS is their quality. The products that SCS produce are accurate in their construction and the quality in the final product is noticeable. The final aspect of what sets SCS apart is their competitiveness. SCS has historically been very competitive in their pricing on everything they produce and supply. Ultimately this means that project budgets can be met and we are able to build more projects for our owners. "As a home builder, when I assemble my project team I must look for value added from each of the suppliers and subcontractors involved. Value added is defined by the quality of the product of work, pricing, and service. In other words, getting a quality product or job for a fair and competitive price backed up by service before, during and after completion. Structural Component Systems exemplifies value added! From the time I get drawings to Jim Swanson, through design and bidding, fabrication of the floor trusses, roof trusses and associated structural components, delivery and support to my framers through the installation process, SCS is always there and always on top of the details. 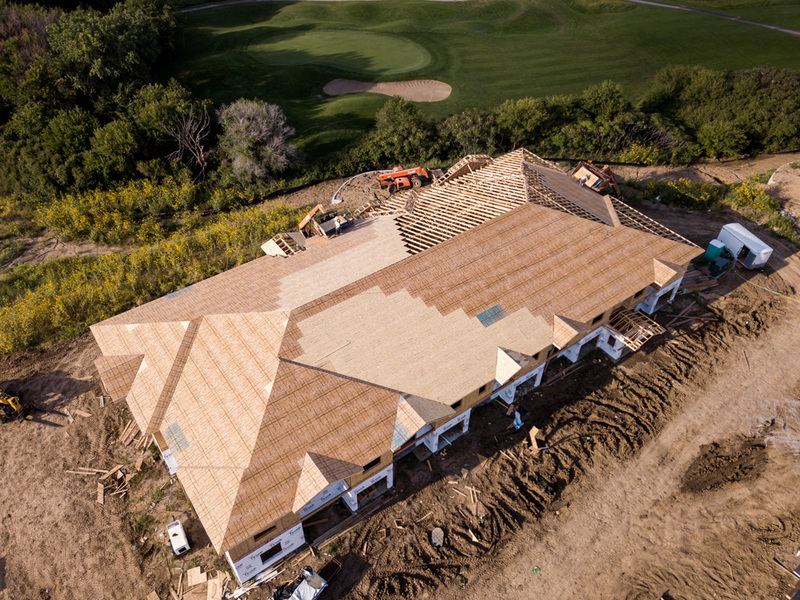 SCS has earned my trust and they are a trusted member of the Van Horn Custom Homes Team." As a home builder, when I assemble my project team I must look for value added from each of the suppliers and sub contractors involved. Value added is defined by quality of product of work, pricing, and service. In other words, getting a quality product or job for a fair and competitive price backed up by service before, during and after completion. Structural Component Systems exemplifies value added! From the time I get drawings to Jim Swanson, through design and bidding, fabrication of the floor trusses, roof trusses and associated structural components, delivery and support to my framers through the installation process, SCS is always there and always on top of the details. SCS has earned my trust and they are a trusted member of the Van Horn Custom Homes Team. It is important that I can always call and get Jim or someone to answer my questions. My framers have total confidence in the trusses and associated structural components supplied by SCS. When they need to modify something, they get immediate response and product support from Jim and the team at SCS. It is this service and quality that makes SCS my go to choice for trusses. I am proud and appreciative to have them as a part of my team. "Over the last few years, I have noticed that Turnkey has made its way back to being in large demand again. And with the commercial market of today, I have learned that a common factor among these projects is that budgets are tighter, yet buildings are much more technical, and the schedules are now becoming shorter. As a framing contractor, one of the most important factors to make the above-listed items happen appropriately is being able to work hand in hand with an educated supplier. Structural Component Systems is in my opinion among the best in the industry. They tend to always see the job as a project instead of just a place to drop lumber. From the start, they take pride in the project at hand and kick off full force with helping the GC find the best way to execute whether it be with design, VE, or helping to drive a schedule. I believe that communication is the absolute key factor in making these jobs start and finish successfully, and what I can appreciate about SCS is that they actually do this, and do it well. Simply put, they are a company that does what they say they will do. SCS is a company that I can trust to partner with on any project I do and have the confidence to know that I made the right choice." "Over the last few years, I have noticed that Turnkey has made its way back to being in large demand again. And with the commercial market of today, I have learned that a common factor among these projects is that budgets are tighter, yet buildings are much more technical, and the schedules are now becoming shorter. As a framing contractor, one of the most important factors to make the above-listed items happen appropriately is being able to work hand in hand with an educated supplier. Structural Component Systems is in my opinion among the best in the industry. They tend to always see the job as a project instead of just a place to drop lumber. From the start, they take pride in the project at hand and kick off full force with helping the GC find the best way to execute whether it be with design, VE, or helping to drive a schedule. I believe that communication is the absolute key factor in making these jobs start and finish successfully, and what I can appreciate about SCS is that they actually do this, and do it well. Simply put, they are a company that does what they say they will do. SCS is a company that I can trust to partner with on any project I do and have the confidence to know that I made the right choice."